Dr Hilary qualified in 1976 at the Royal Free Hospital in London. In 1979 he worked for a year as the single-handed medical officer on Tristan da Cunha, the most isolated inhabited island in the world. He became a Principal in General practice and a GP Trainer in the early 1980's and began presenting educational medical TV programmes for British Medical TV in 1986. In 1989 Dr Hilary joined the most successful TV breakfast station, TVAM. He and Lorraine Kelly were the first presenters to be signed up by GMTV when it won the breakfast franchise in 1993. He has written several books including 'Before You Call The Doctor, 'What's The Alternative? ', 'Your Child's Health', 'I'm Too Busy To Be Stressed', 'Total Well Being' and 'Natures Remedies'. His first novel, 'What's Up Doc?' was published in August 2009. He is a regular contributor to the Steve Wright Show on Radio 2 and also writes for Fabulous magazine, Rosemary Conley magazine and other publications and newspapers. 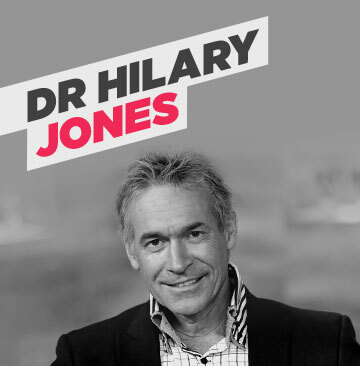 Dr Hilary is also the new health editor of breakfast television.